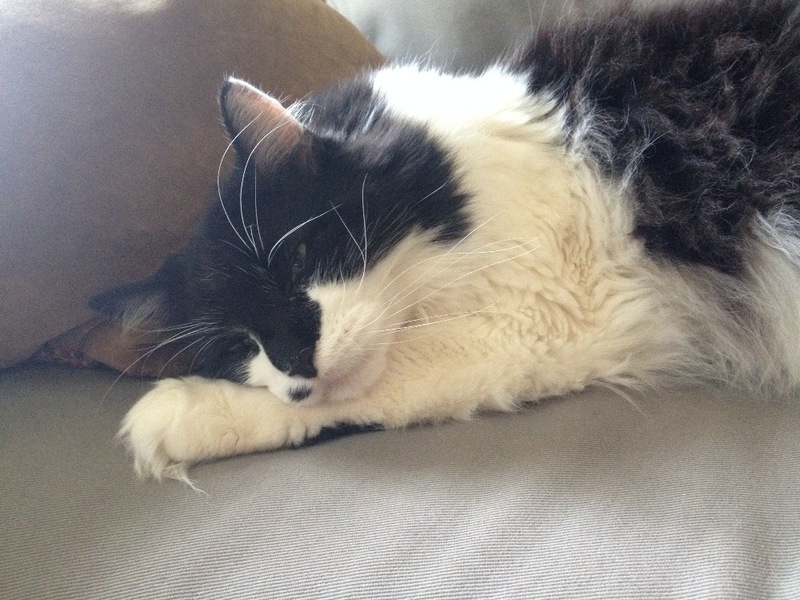 Fundraiser by Alex Ross Perry : Help save Fluffy The Cat! Help save Fluffy The Cat! A video introduction to Fluffy The Cat, featuring his LISTEN UP PHILIP co-stars Jason Schwartzman and Elisabeth Moss. Fluffy The Cat is a vital part of my life. 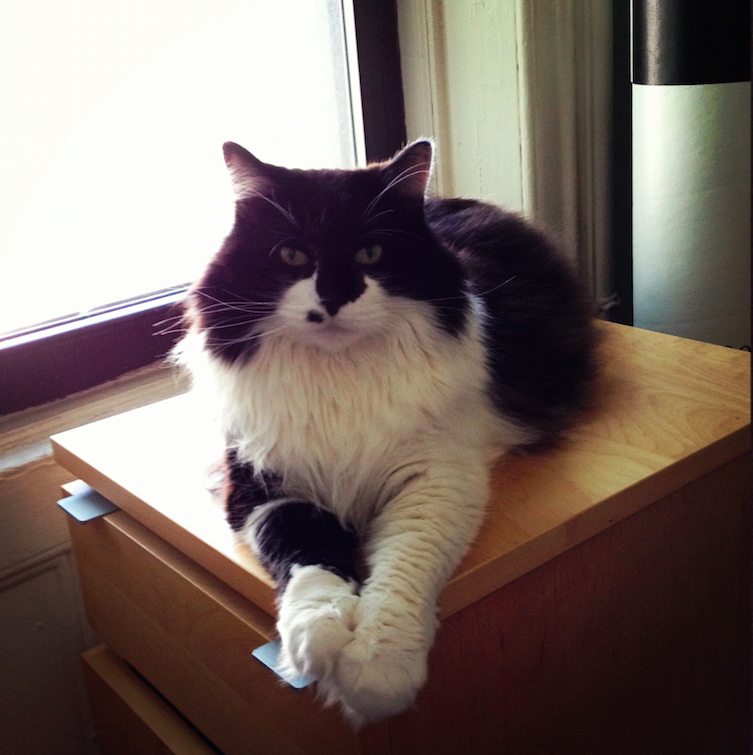 When Anna and I moved in together, I had never before had a cat, or a pet at all. Both my parents are allergic, so I never really got close to any cats. Fluffy changed all that. Through him, I learned the true meaning of what it is to have a pet who is family. This led to the adoption of our other cat, Smokey, in 2009. 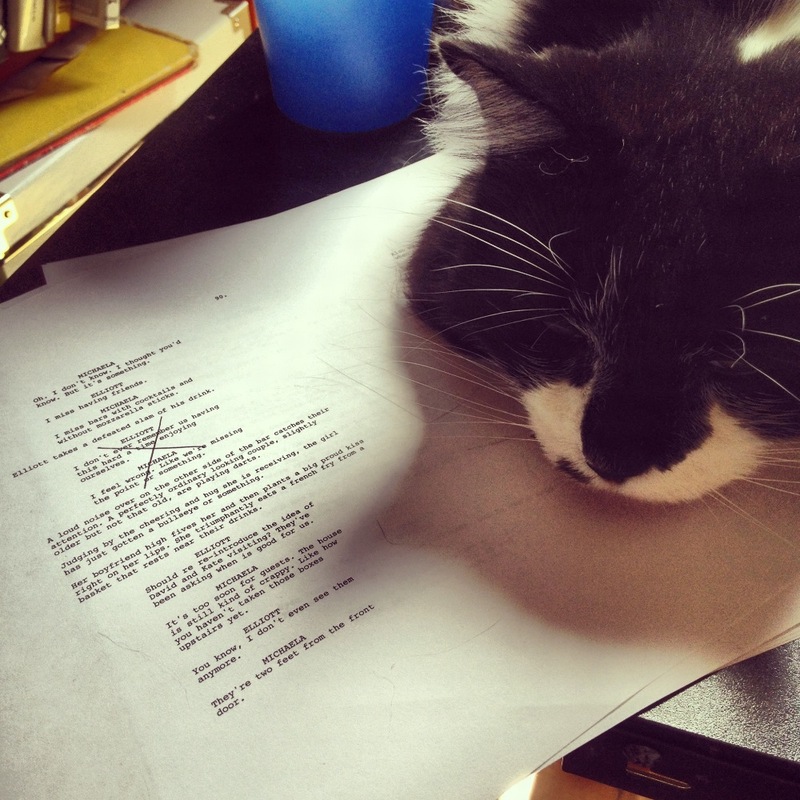 Fluffy has been a huge part of my life ever since, sitting firmly on my desk at all times when I write or edit my movies. This was taken to it's logical extreme when I cast him in the crucial role of Gadzookey in LISTEN UP PHILIP. 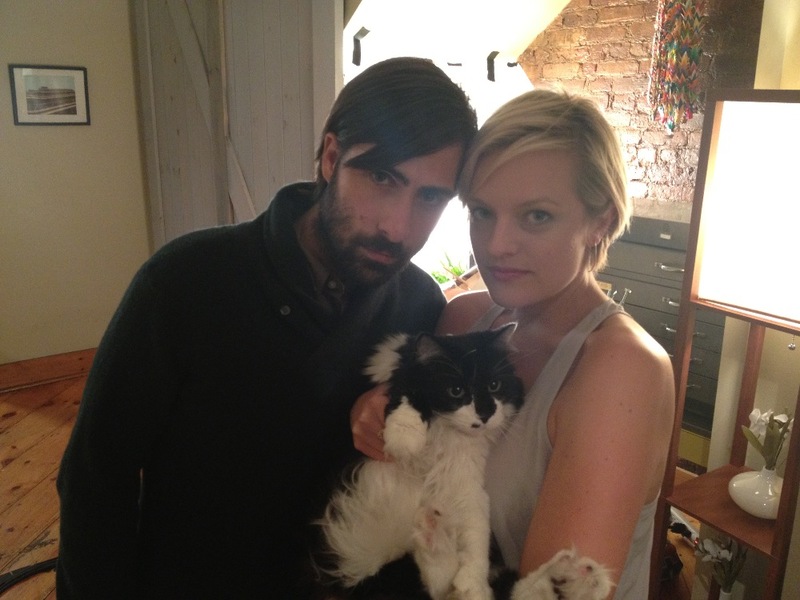 Fluffy really enjoyed his time on set, making new friends with his co-stars Jason Schwartzman and Elisabeth Moss. He also was happy to know that, thanks to the film, he would be immortalized in his prime for all time, and that when it was released, people the world over would be able to laugh at his foolish antics and comedic appearance. From his appearance in the film, Fluffy's profile increased steadily. His large fuzzy face has appeared in The New York Times, Entertainment Weekly, Cinema Scope Magazine, Filmmaker Magazine, and many others. He now has his own IMDB page ( http://www.imdb.com/name/nm6833970/?ref_=ttfc_fc_cl_t38). I even appeared on a radio show about artists and their pets to discuss his influence and importance to my work and work methods. ( http://www.radiopetlady.com/blog/tag/alex-ross-perry/) Fluffy was written about as one of the best cinematic cats of the year. ( https://www.fandor.com/keyframe/the-year-in-cats) The world finally got to meet Fluffy The Cat and I was incredibly proud of him. Sadly, in June of 2014 Fluffy became sick. His nose was bleeding and we couldn't figure out why. Many vet visits and trial treatments later, Fluffy was just getting worse. By August, he could not breath without great difficulty and spent almost all of his time hiding in the bathroom, unable to move around much or do anything. 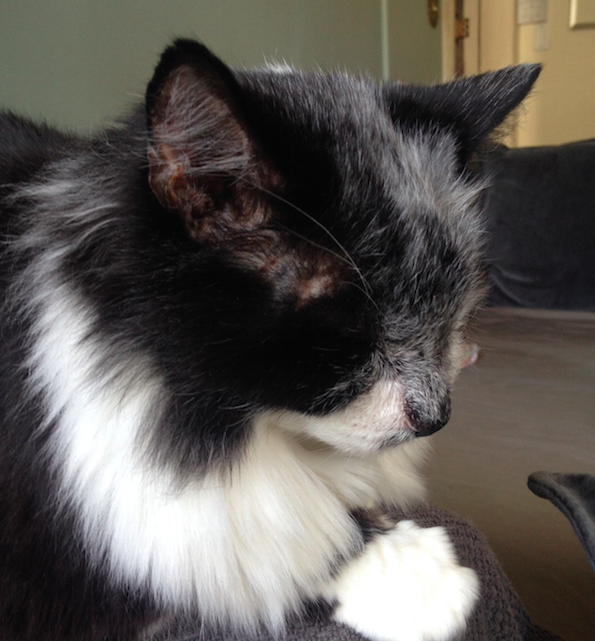 In September we learned that Fluffy had a tumor in his nose, a form a lymphoma. It was a truly horrible revelation, after months of positive thinking that his mystery ailment would finally go away, to learn that it was cancerous was truly devastating. With very little money at our disposal but in the interest of helping Fluffy however possible, we signed up for an expensive course of treatment involving both radiation and chemo that needed to begin immediately. Fluffy is quite young, only about 10, so he should still have many years ahead of him. We wanted to make sure he got to enjoy those years. Thankfully, the treatments were and have been successful; Fluffy went into remission immediately. Since early October, his breathing has been back to normal and his energy and robust appetite have both returned in full force. Unfortunately he has lost a bit of weight and fur, but thankfully had plenty of both to spare. The treatment plan we signed up for was unaffordable; we knew that at the time but couldn't live with Fluffy suffering loudly at home any more. It is because of this that we have to ask for help and support in paying for Fluffy's treatment. I have never asked for crowd funding of any kind - never for any of my films or anything. This is more important to me than that, and it is with heavy emotions that we must request support and donations for our friend Fluffy. Even getting to his lymphoma diagnosis was financially devastating. If I hadn't just won a monetary award a month earlier for LISTEN UP PHILIP I wouldn't even have been able to pay for the doctors that helped arrive at that conclusion. Sadly, after all that, I was pretty tapped out but still desperately willing to do anything possible for Fluffy. I know this is a lot to ask. The past few months have been incredibly difficult and sad and any small way that people could possibly make this ordeal easier would be infinitely appreciated. Having Fluffy be well again has been the greatest gift of all, but now we must pay for that privilege. Fluffy's treatment goes on for another few months, so we are not in the clear just yet, but his progress has been encouraging both day-to-day and in the opinions of his many doctors. If you enjoyed Fluffy in LISTEN UP PHILIP, follow his exploits on instagram, or just love animals and want to be a part of saving the life of a very special one, I ask you to please help us pay for this life-saving treatment for Fluffy. Thank you so much for taking the time to look at this and if you are able, thank you in advance for helping save Fluffy The Cat. Hello Friends of Fluffy; I write with good news! 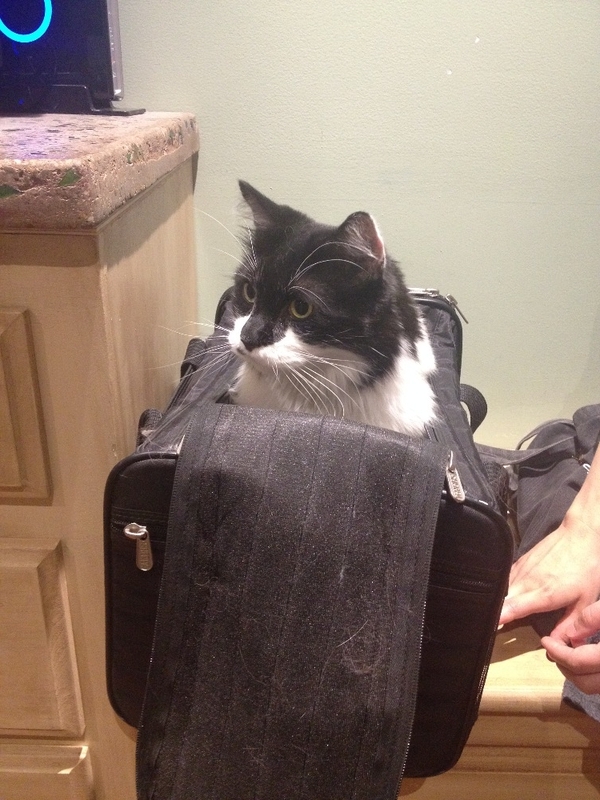 Yesterday was Fluffy's post-chemo CAT Scan. We were nervous about this because the results would either be very negative or very positive and it was sad to think that after all the treatment, there could still be more bad news. However! The vet said that his tumor seems to be gone and all is well. The treatment was a success. Lately, Fluffy's appetite and energy have been not only back to normal, but more robust than ever before. He is in no pain, enjoys every day and is his old self again. This diagnosis yesterday couldn't have been more of a relief and it is only possible that we are even at this point in Fluffy's life and treatment because of the help and support of those who were generous enough to assist with this campaign. So thank you all for helping Fluffy get through his treatment and for providing Anna and myself with the strength and encouragement we needed during a very difficult time. Knowing how many people were interested in being of aid to us during such a challenging period was humbling. None of this would have been possible without the support of Fluffy's many fans and friends. Thanks to all, and hopefully there is nothing ahead but more recovery. Alex, Anna, Fluffy and Smokey. -first of all, thank you again to everybody who donated and spread the word of Fluffy's illness. I am happy to report that he has only three chemo appointments remaining and hasn't shown a single sign of being sick in months. He is strong, energetic, has a fully restored appetite and is generally back to normal in every way. And this wouldn't be possible without the generosity and charity of so many people! -as you can see in the photo here, a lot of the fur that he lost during his treatment has grown back finally, but it seems to be growing back white. Like the hawk at the end of The Royal Tenenbaums, Fluffy's traumatic experience has given him the appearance of age and wisdom. Perhaps once it is thicker it will return to it's original color, but for now, it is nice having Fluffy wearing a different hat because he doesn't look sick any more. So just wanted to answer all the people who have been asking how he is doing, because he is doing great and we have much to celebrate! Hello Friends of Fluffy! Every time we look at the page, Anna and I are amazed and overwhelmed by the volume of donations and love and support that is out there in the world for our special little friend. Things are going very well with his funding. He is doing great at home and continuing to be a terror and an insatiable food loving monster at all times. Everything is as stable and positive for us as we could ever hope and this is largely because of the hundreds of people who have given thousands of dollars to help this little boy on his road to recovery. We have passed the 2/3 mark, and now the 3/4 mark. All that is left is to close the final gap and then continue his treatments in the best and most optimistic was possible. 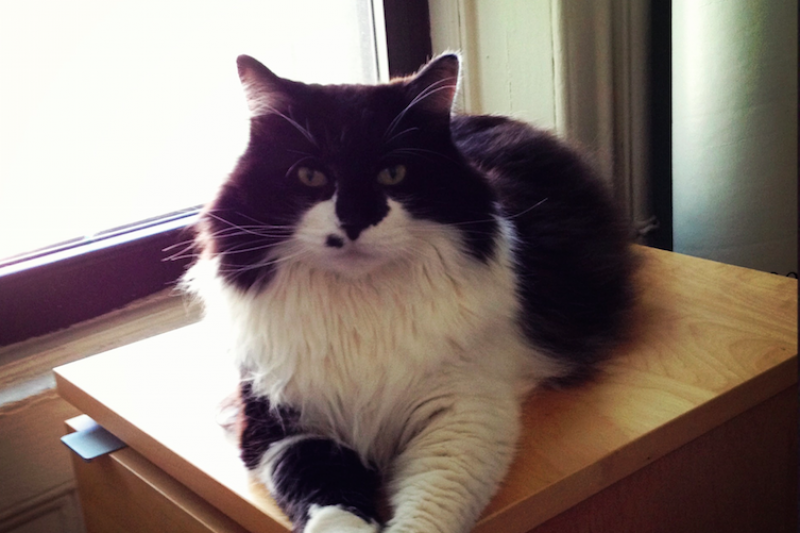 Another day and another thousand dollars closer to Fluffy's final goal. Anna and I are speechless about the reach Fluffy's campaign has had. The amount of articles, sharing, positivity and generosity truly reflects how much we love Fluffy the Cat and it is amazing to see the rest of the world heap love upon him as well. We are over two thirds of the way to our final goal, and the momentum is incredible. So thank you all if you have given anything or just shared this link, written about it anywhere, or sent a nice note with your donation. So many people are expressing similar stories of living with sick animals and it feels great to know that our experiences are shared. Special thanks to anybody who gives in honor of a beloved pet they lost. Fluffy will carry on the memory and spirit of your loved ones thanks to you. I can't believe how much we have accomplished in just a few days. You are all ensuring that Fluffy is as healthy and happy for as long as possible. Thank you more than words can say from Alex, Anna, Fluffy and Smokey. I wish people could do this for my cat's $300 vet bill. YAY!! So glad Fluffy is doing so well!! Have fun Fluffy, celebrate!! Please help me and my twin boys as well. You can search my campaighn please. PLEASE FOLLOW LINK AND SAY A PRAYER FOR A FAMILY IN NEED AND SHARE TO FACEBOOK PLEASE . Hello, we couldn't do much but we hope our $20 donation gets you a step closer to your goal. We recently found out that our pup Caesar has a similar tumor in his ear so we started this in honor of him. We never knew how expensive vet fees were until now, who knew. We're not asking for much in return but please help us spread the word about our baby. As a pet owner yourself you should know that they're apart of the family as much as anyone else, and we'd hate to have to put him to sleep. My family and I wish you the best of luck with your campaign and your darlings health. Hope Fluffy gets well soon...Would love an Impolex DVD...thanks Alex! I pray for Fluffy the cat for healing . I will pray ask St. Philomena to heal Fluffy. Hope kitty get better soon. You might ask your vet to put him on Lowdosenaltrexone at a lower than normal dose of 4.5 MG every night. 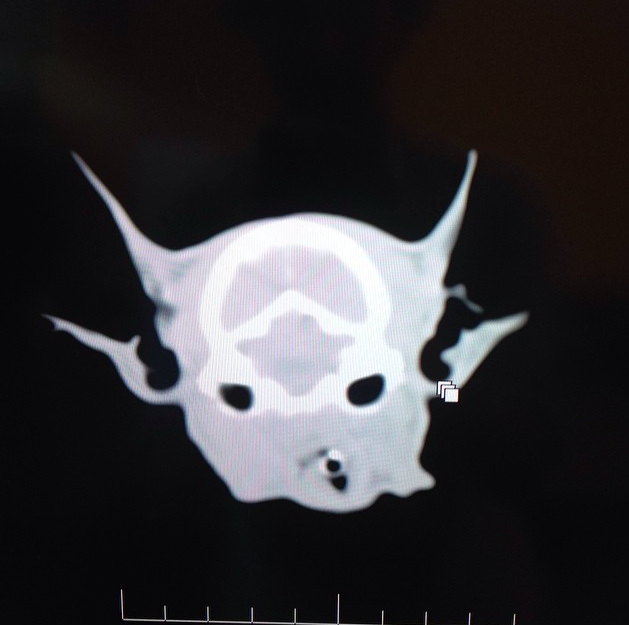 My friend who is a vet does it all of the time. I've saved 2 human cancer patients using this drug that costs 2 bucks a month. Check out the Lowdosenaltrexone website and even mine on Facebook. Go Fluffy! I haven't seen the movie yet but I'm pretty sure Fluffy will be up for an award next year. Sorry Alex. You're cute and all but compared to Fluffy, well... I'm sure your performance will be good but it's the sign of a good actor to learn from his betters. Like Fluffy! Beautiful cat. Glad to hear his treatment worked! The most I can do now. I wish I could cover the rest of the expenses.